I first heard about Black Shirt Brewing Co. a LONG time ago. I really have no idea just how long ago—it’s been that long. I drive by their place every day on my way to work. And each time I would think, “I wonder when I’ll get to go drink a beer there.” Well, I can now say my wait is over. I was finally able to have a beer at Black Shirt Brewing on Saturday. Black Shirt Brewing Co. (BSB), while not officially open regular hours yet, has had a handful of days when they’ve been open limited hours. But unfortunately, I hadn’t been able to make it on any of those specific times. So I was very excited to stop by there last Saturday evening. BSB brews everything red: Red Ale, Red IPA, Pale Red, Imperial Red Rye IPA. The Imperial seemed like the natural choice for me. I like IPAs, and I like ‘em strong. 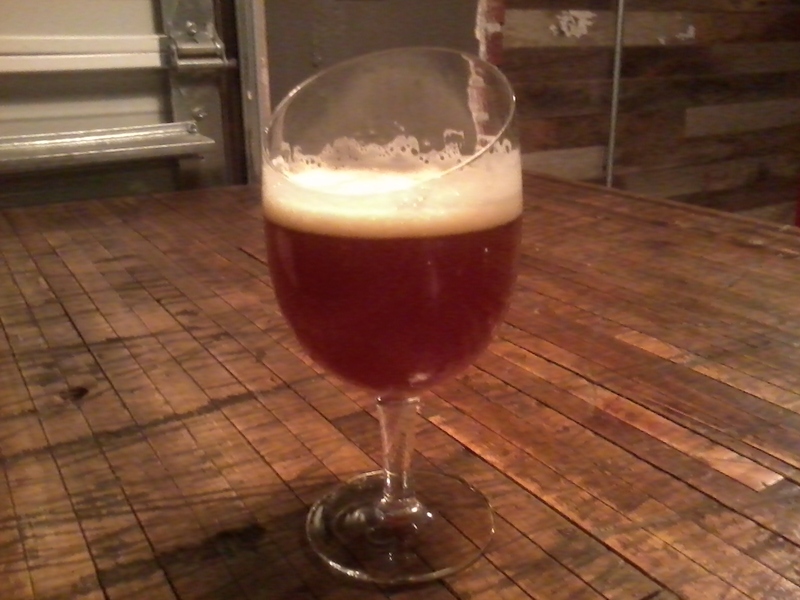 And this one is 9% ABV. I wasn’t really sure what to expect from the taste; I’d never before had an Imperial Red Rye IPA–such a unique and interesting concept. They describe it as an Imperial IPA made with Rye, Colorado Wildflower Honey, Belgian Candi Sugar, and Voss Farms Colorado hops. Well, that must be the recipe for perfection right there. Because that beer was a-ma-zing. I absolutely loved it. I should have made notes while enjoying my first one. But I was a bad beer blogger, having way too much fun socializing with my friends. I’ll just say it was tasty enough that I ordered another…and another. I tried my friend’s IPA, which was really good as well, but since I started with the Imperial I had to just keep going with it. Next time I’ll start with the normal IPA, and I hope “next time” is soon. 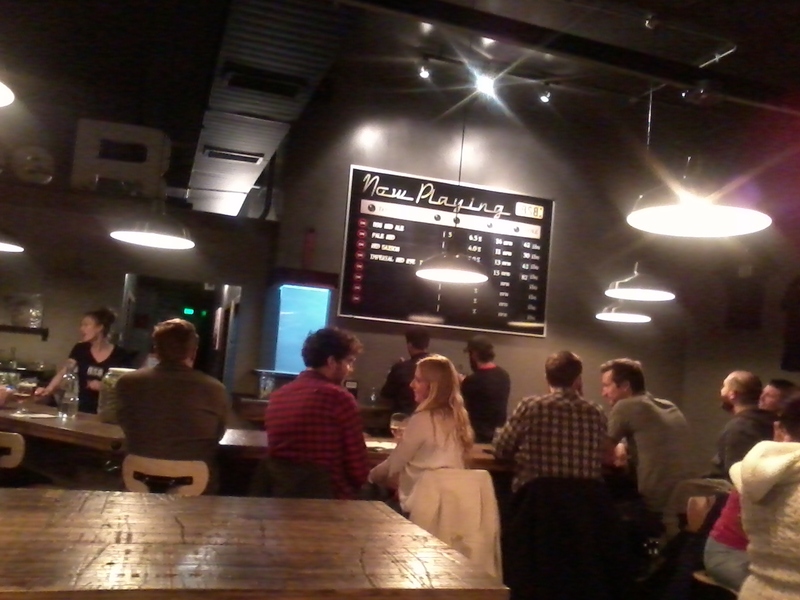 The beer is excellent, and the tap room is very nice and welcoming with a great atmosphere. The only thing I wish for is more chairs. Their biggest tables seat only four people. I was with five others, and while the tables seemed large enough for six, there were only four chairs at each one and the place was full (leaving me unable to steal from other tables). Other than that, everything was fantastic. I am really looking forward to the day when BSB is open on a regular basis. I can definitely see myself becoming a regular there; I like it that much already. Great job on the brewery, Black Shirt Brewing! See you soon.